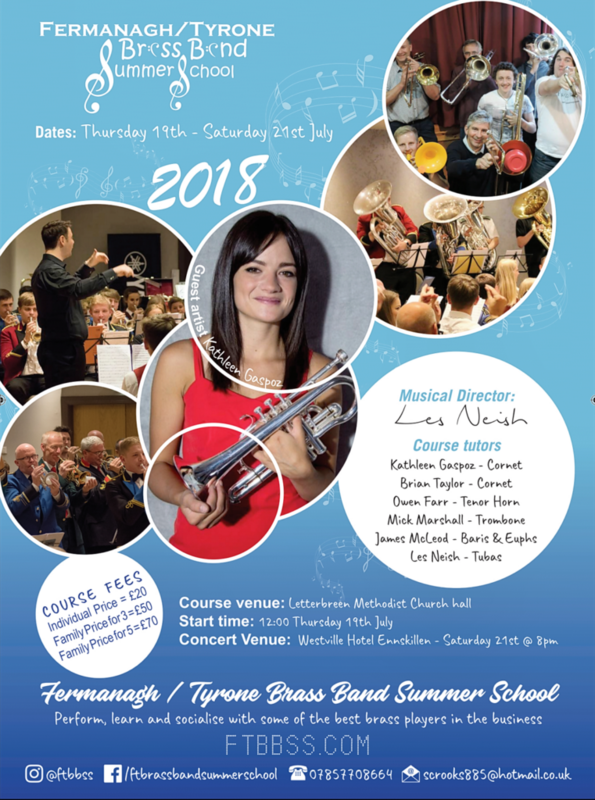 Fermanagh/Tyrone Brass Band Summer School is looking forward to its seventh event in Northern Ireland. 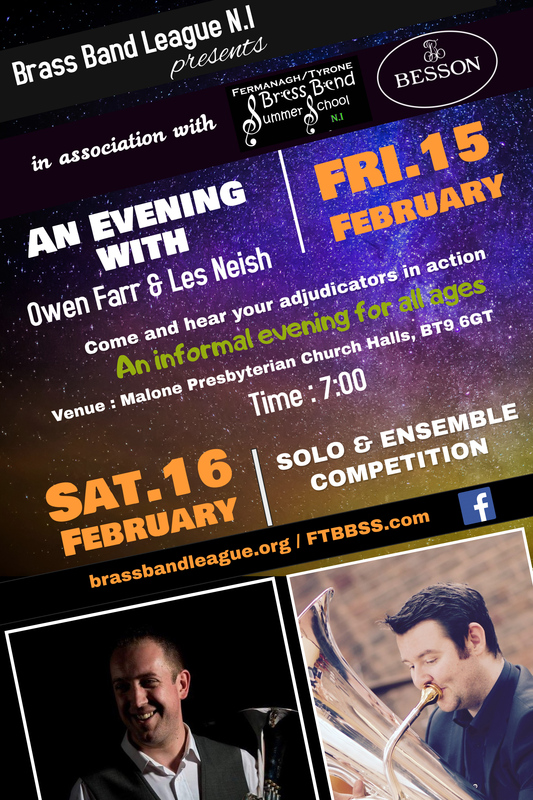 FTBBSS.com gives participants the opportunity to perform, learn and socialise with some of the best brass players and educators in the business. We’re pleased to announce the Guest Artist for 2018 is Kathleen Gaspoz. 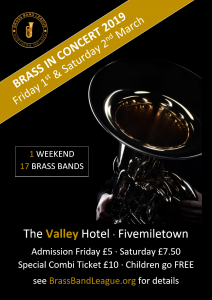 Kathleen is without doubt a ground breaking musician, recently becoming the principal cornet of the famous Brighouse and Rastrick Band. The first female principal cornet in the band’s 136 year history!! Alongside Kathleen on cornet we have the charismatic Mr Brian Taylor who brings a fantastic wealth of experience to the line up. 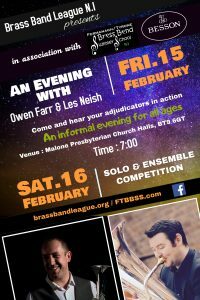 With Artistic Advisor Owen Farr taking lead on the Horns we welcome new to the team local man Mick Marshall from the RTÉ Concert Orchestra on Trombone. 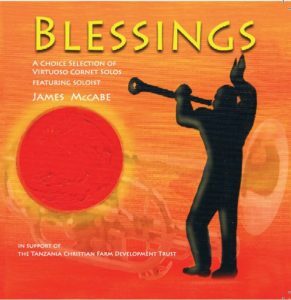 James McLeod will put the Euphs & Baris through their paces while Musical Director and Co-founder of FTBBSs.com Mr Les Neish brings the band together for the end of course concert. 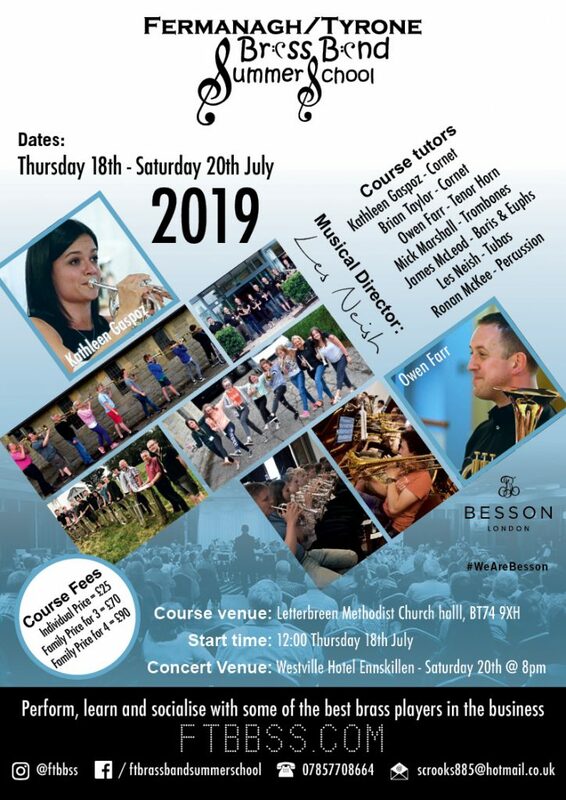 We strive to bring you a fantastic experience at a small cost of £20 for the three days music making. It will include rehearsals, sectionals, Q&A sessions, masterclasses and recital. This all takes place in a relaxed atmosphere with a particular highlight being the Fantastic Phairgrylls BBQ on the Friday evening also to include the NEW LIVE QUIZ. If you’re travelling to the Summer School from further afield why not make your trip into a mini-break. We have links with many local B&B’s & hotels and will happily assist you in this. This fun, relaxed course is open to all ages and all abilities. Just turn up, pick a seat and away you go! Course dates: Thursday 19th July – Saturday 22nd July 2018.